Mr. Jordan sold his first aircraft at age 17, and he has since sold over $300 million dollars of aircraft consisting of all makes and models, including Gulfstream, Hawker, Falcon, Learjet, and Citation, as well as numerous turboprops and piston twins. His clients range from high profile individuals to Fortune 500 companies. Mr. Jordan has more than 35 years experience in a variety of positions of responsibility within the business and general aviation industry. Most recently he was founder and partner of Business Jet Center, a full service Fixed Base Operation (FBO) he created in 1997. Over the next nine years he was instrumental in helping grow the Dallas based FBO from fuel sales of 900,000 gallons to more than five million gallons annually, while competing as one of seven FBO’s at Dallas Love Field (DAL). During this time, Business Jet Center was consistently rated as one of the top five FBOs nationally. 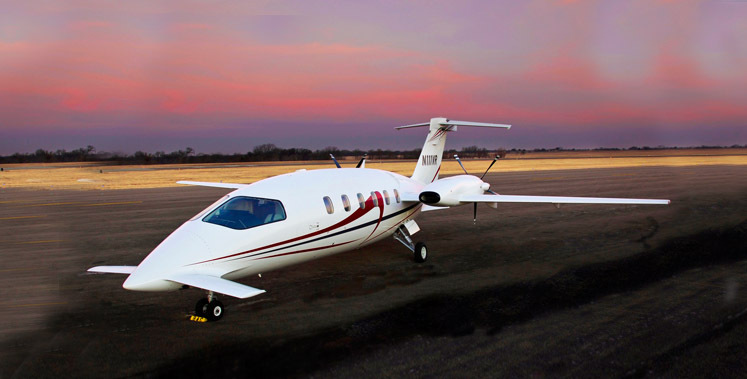 This successful formula was carried over to a second Business Jet Center location at Oakland International Airport (OAK), which became a top 20 nationally rated FBO in 2006. Mr. Jordan was also the founder, president and co-owner of Business Jet Services, Ltd, an aviation management company controlling assets in excess of $100 million dollars. The Company specialized in personalized, high quality and safety oriented aircraft management, maintenance, and charter services. Mr. Jordan was responsible for obtaining an FAA Part 145 Repair Station Certificate and an FAA Part 135 Certificate while growing the company fleet from two to 28 turbine aircraft and annual revenue of over $20 million dollars. Through his related company Business Jet Technologies, Mr. Jordan was instrumental in developing solutions for the FAA mandated Reduced Minimum Vertical Separation (RVSM) requirements and the Terrain Avoidance Warning System (TAWS) for Gulfstream II and IIB aircraft. Coordinating a team of engineers, Mr. Jordan obtained Supplemental Type Certificates (STCs) for his proprietary RVSM and TAWS solutions. In addition, he is a co-developer and marketing partner of the QTA Stage 3 Hush Kits for Gulfstream II, IISP, IIB and III model aircraft which is designed to make these venerable aircraft compliant with Stage 3 noise regulations worldwide, thereby ensuring their continued operation into the foreseeable future. Mr. Jordan holds an Airline Transport Pilot (ATP) rating, has four jet type ratings and has logged more than 8,000 flight hours. He also has an FAA Airframe and Powerplant (A&P) license. Mr. Jordan served as a flight department manager and a chief pilot for two corporate jet flight departments over a period of 14 years, operating a varied fleet of turbine aircraft and managing assorted staff of pilots and maintenance personnel. Mr. Jordan has personally owned and operated many different aircraft including a Gulfstream II and assorted piston twins, providing a rare insight into the challenges and needs an owner faces. 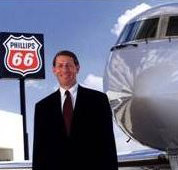 He is an active member of the Aircraft Owners and Pilots Association (AOPA) and the National Business Aviation Association (NBAA), and has been awarded the NBAA’s coveted “Million Mile” safety award for operating aircraft in the conduct of business for well over one million miles without an accident or incident.